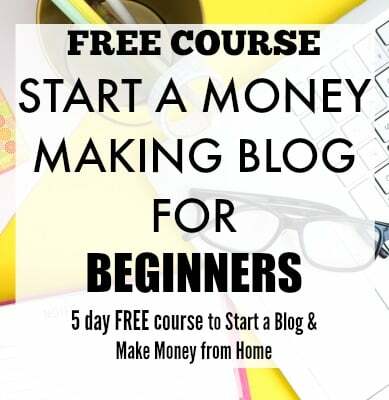 Every day, I see new and unique side hustles coming up, and this makes it easier for everyone to earn extra income without much hassle. Many of these side jobs are pretty flexible and can be done in your own time. Why earn money on the side? There are tons of reasons for it. If you are a student, you could earn for your living, pay your fees and have a sound financial system. Infact these are one of the best jobs for students. If you are a stay-at-home mom, you can earn while your kids are at school, it can also give you a chance to make money in a flexible way. There are literally thousands of reasons why anyone and everyone should look for side jobs. 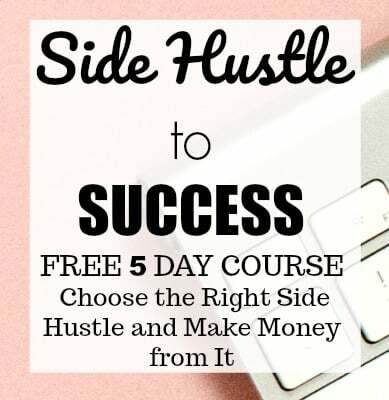 I would not have talked about side jobs a decade ago, because there weren’t many options around then, but now you have endless ways to earn money. Today, I am sharing some easy ways to make money delivering food. If you ever wanted jobs like Uber but with minimum customer interaction, this is the post for you. This famous company is most preferred for this side hustle because of its flexible car requirements for delivery partners. To deliver by car, your vehicle must be a 2 door or 4 door car made after 1998. Depending on your location, you may also have the option of delivering with your bicycle or scooter in select cities. The minimum age to partner with Uber is 19 years, and you need at least one year of driving experience to deliver by car. There are a couple of things that are great regarding this company; if you are not ready to pick up riders, this is the perfect way to earn money on the side for you. UberEats also makes it very easy to use the Uber app to connect with delivery requests and to pick up and drop off food. This food delivery company hires anyone with car, scooter, and bicycle. GrubHub was mentioned as one of the leading food delivery companies in the US. They partner with more than 75,000 restaurants and deliver in 1,300 US cities. You need to be at least 19 years of age, have an iPhone or Android smartphone and have a minimum of two years of driving experience. They deliver in selected cities in the US, and you can find the list on their website. The pay does differ with the cities, peak timings like lunch and dinner times and the number of deliveries. Tips are also another way to bump up your earnings with Grubhub. Founded in 2011, Postmates hires delivery drivers for restaurant orders, groceries, alcohol, etc. They are an on-demand delivery food service from anywhere. To become a Postmates driver, you need to have a car or a bicycle, have an iPhone or Android smartphone, go through a background check and need a driving license of at least one year. Though the pay differs with the cities you serve in and times you work, the pay could range between $14 to $25 per hour. Postmates is only available in certain cities in the US. This company is pretty similar to GrubHub, and you can earn as much as you want delivering food. The ‘dashers’, as they are called are required to download the app and choose your delivery time slots. The minimum requirements to become a Doordash dasher, be at least 18 years of age, have a valid drivers license and insurance and a smartphone. The minimum pay is around $8-$15 per hour, but this entirely depends on the cities you deliver in and the times you choose. You also get to keep all the tips. Another thing that can increase your earnings is referring drivers to Doordash; you can earn up to $500 per referral depending on the city. Read our Doordash review here. If you are excited by the idea of grocery shopping for others to make extra money, then Shipt is the way to go. With Shipt you can earn to shop and deliver groceries for others. This side hustle is only available in selected cities in the US. The basic requirements are – be at least 18 years of age, have a valid drivers license with minimum one year of driving experience, be able to lift a minimum of 25 pounds, have an iPhone and a cooler bag. As per their website, you can earn around $15 to $25 per hour. You can apply online and record a video to be considered for the position. Orderup is another food delivery company that hires to deliver restaurant food. The signup process is pretty simple, you sign up online with your contact information and schedule a phone call with them. They claim that most drivers start working within 7 to 14 days. The work is quite flexible, and you can choose your own hours. The pay is around $20 per hour, and you get to keep 100% of the tips. With Instacart you can earn money on the side with grocery shopping. You have two options; you can work as a Full-service shopper (shopping and delivering) or In-store Shopper (only shopping). The hours are flexible, and in both the cases, you can choose your own hours. For a full-service shopper, you need to be 18 years or older, have a vehicle to deliver, have an iPhone or Android smartphone and be able to lift 30-40 lbs. You can earn anywhere between $10 to $25 per hour. Interested in making money delivering food? Here are some requirements. You need to have a car or bicycle or a scooter, you also need a smartphone for all the above gigs. If you got these, then you can easily make money delivering food. Keep in mind that working in certain cities in busy times has greater impact on how much you earn. Whether you do it on weekends or weekdays, food delivery can be a perfect side hustle for someone who wants to make good money with minimum customer interaction. Because most of these companies work through apps, it is pretty flexible and can be done if you know how to use their apps. Love talking to people and want ridesharing gigs? Check out Uber or Lyft. Both of these companies help you to earn money for your driving skills. This is a perfect side gig for you if you are a people person and love driving. Have you considered food delivery as a side gig? Please share your views in the comments.